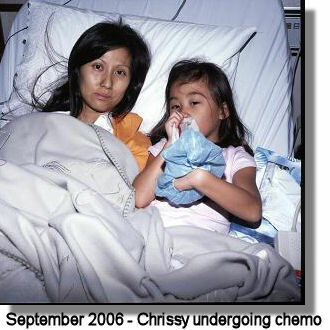 I wondered if anyone remembered Chrissy whom slightly over a year ago back in end-2006, I blogged about her battle with Leukemia? If no, may I suggest you read the following archives before proceeding. 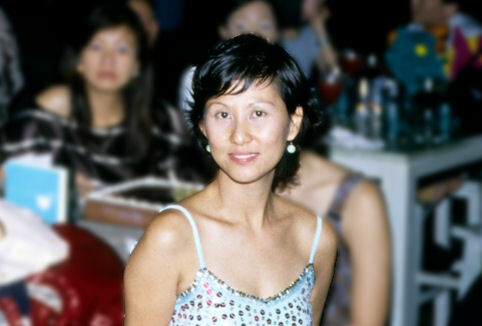 We knew she went through the painful treatment of Chemotherapy and even then, she put others ahead of her by organising a Bone Marrow Donor drive of which my thanks to my fellow friends, blogger friends, fellow Barflies from CowBoyBar as well as Tomorrow.sg who helping to spread the word of the event which was a success. So how is Chrissy now? Well, I am happy to report that shortly after that Bone Marrow drive, she went for a marrow transplant herself (she has a marrow match from her brother) and it was a success. Last month, she celebrated her "first birthday" on 16 January 2008 and here's wishing her many many more birthdays to come. sunflower: Indeed she is. Doubly happy on that day from now on! great to know she's doing better now..
Starmist: Welcome to the blog! Chrissy is not only doing better, she is doing great. She is actively seeking volunteer assignments as a way to give back what the kindness of the people around her has given her. Kudos!